We all know been waiting for Erik Santos inTENse: A Decade with the prince of Pop concert since it was announced, and today is the day we've all been waiting for. It's been 10 years and Erik Santos wants to give his all from singing, dancing and more surprises. Me together with my blogger friends and media visited the rehearsal of the concert at San Juan City and this I can share with you a video (HERE) of the Prince of Pop telling all the things store for us later tonight. 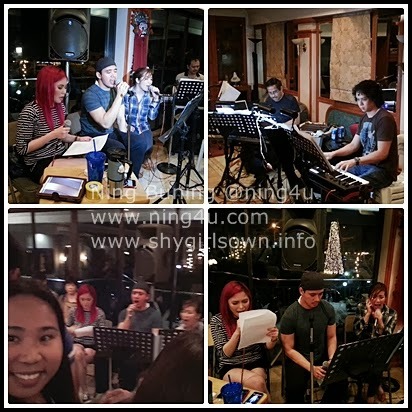 Some of his guest were also there to rehearse with him like Yeng Constantino and Angeline Quinto. We heard how "inTENse" their production is... and I can tell you that this is a night you will never forget.